We met Catrina in January at the BRAVO Bridal Show in January in Florence. 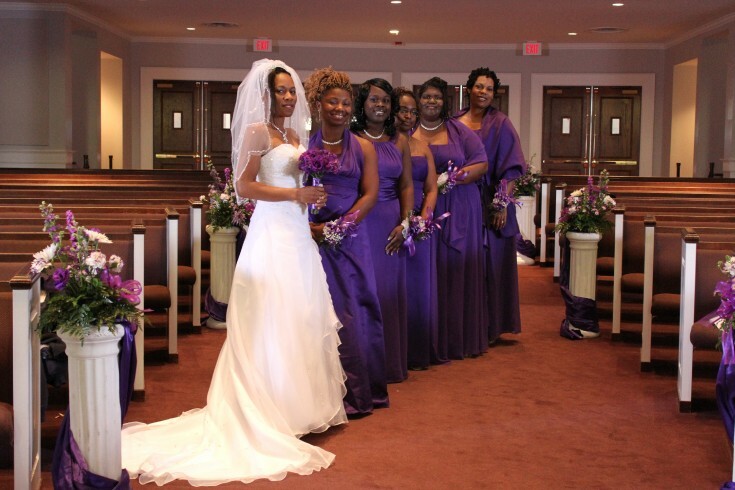 Although, we talked to lots of brides that day, I distinctly remember the conversation that I had with her. Almost a month after meeting at the show, we were sitting down for our initial consultation. 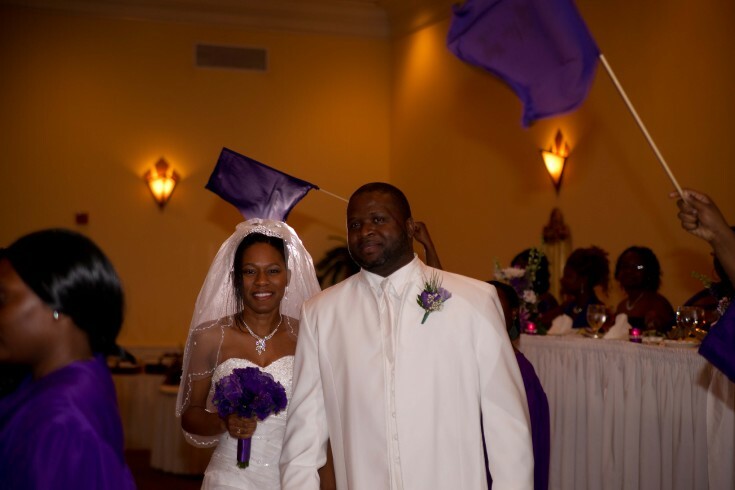 We hit the ground running tying up loose ends because a little more than a month later, it was wedding day. 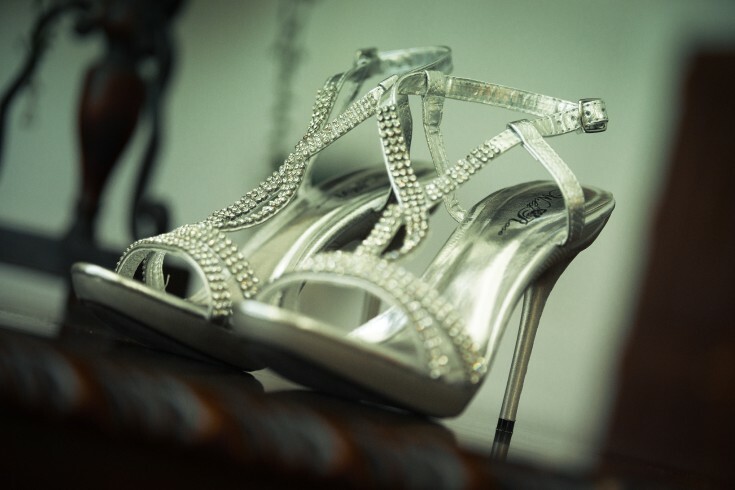 By the time we got to the wedding day, everything was together including Catrina's blingtastic elements. 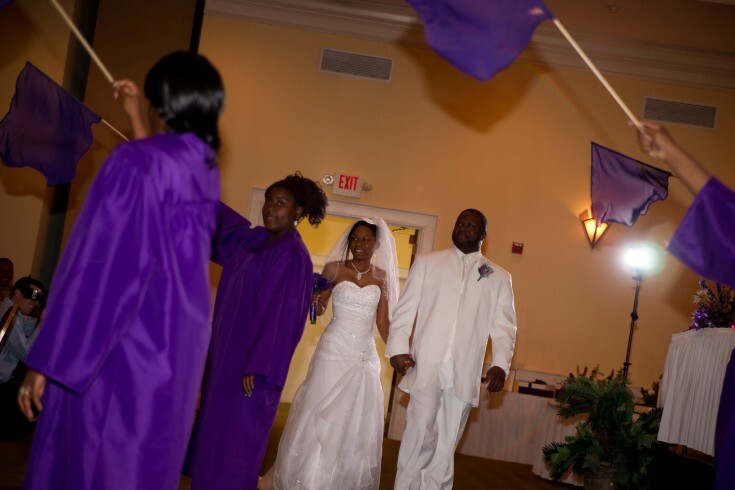 Catrina and Terrell added some very personal elements to their day: the beautiful memorial, the ringbearer carried Catrina's grandmother's bible instead of a pillow and their entrance to their to their reception was to a custom flag dance. 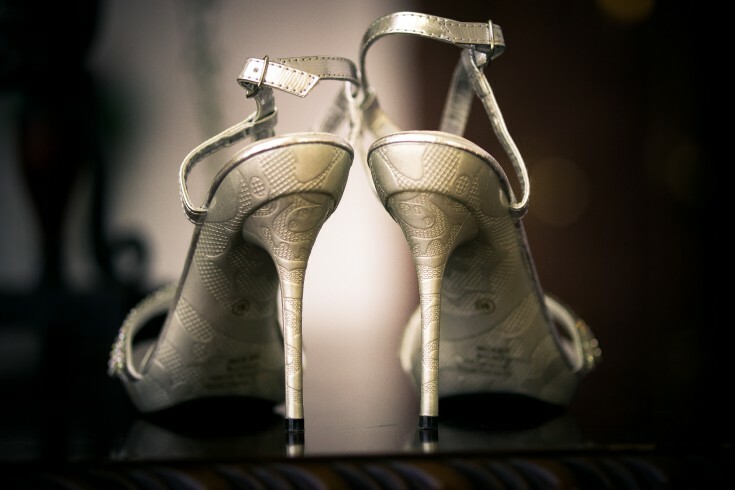 I LOVE wedding shoes almost as much as I love wedding gowns. The bridesmaids wore wrist corsages. 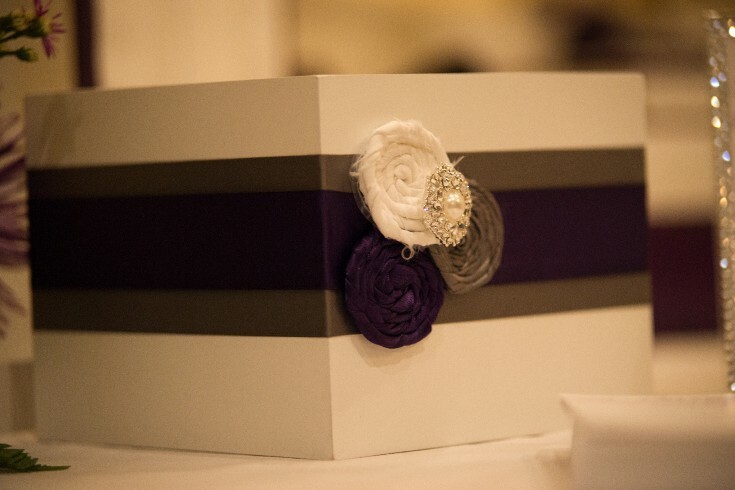 Catrina's wedding was unique to us in a couple of ways: 1) We were her second planning company that she worked with. 2) Due to some circumstances, her wedding was the first in nearly six years that I had managed the wedding and reception without an assistant. Everything turned out beautifully. 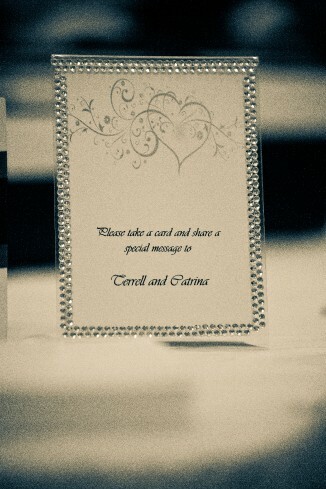 It was a pleasure working with Catrina and Terrell (and their family) on their wedding. I only wish we had gotten to work together longer.